We Know Shipping Ski / Surf / Wake Boats! 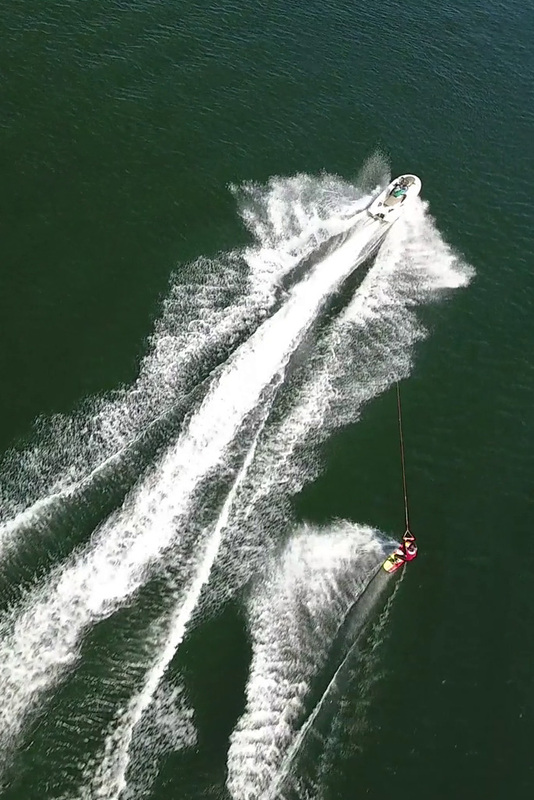 ski / surf / wake boat moved anywhere in the world. When you are shipping your ski boat, you want a professional that takes care of all the details of the trip. You want someone who will plan the most efficient route, pay attention to the preparation details, properly load, and safely transport your ski, surf, or wake boat to the destination of your choice. Nationwide Boat Shipping transport specialists have the knowledge and experience needed to avoid problems during the shipping process. We will take care of your ski boat shipping needs, whether you are transporting one from auction or moving to a new location. We will also take care of getting any needed permits and escorts, so you can have a stress-free move. There are many things that have to be done before your ski boat or wake boat is loaded onto the trailer for shipping. First, the bottom of the hull has to be thoroughly cleaned. Some states have very strict laws regarding what is introduced to their ecosystem, so your ski or surf boat may be inspected. Then, the loose parts must be removed and packaged separately for safe shipping. Shrink wrap will protect your wake boat from weather and road debris during transport. Only then is your ski boat ready to load onto the trailer; this can be quite tricky for the novice. Whether you are traveling for an hour or a day, you want your ski or surf boat to receive the best care possible during the shipping process. At Nationwide Boat Shipping, we specialize in the transport of ski boats, surf boats, and wake boats. Our experience in dealing with the shipping of smaller vessels means that you get top-of-the-line services from the experts, no matter how far you are going. Call (800) 352-8475 to talk with one of our logistics professionals for a free no obligation quote today! No matter where in the United States you need to ship your ski, surf, or wake boat, we can get you there. The reliable professionals at Nationwide Boat Shipping provide ski boat, surf boat, and wake boat transport in every state in the country. With the knowledge and experience needed to get your small vessel where it needs to be safely and efficiently, you can let go of your boat-shipping stress. When you trust us with you ski boat transport, you stay in continuous contact with the transport vehicle throughout the entire process. Add to that our competitive rates and the choice is clearly Nationwide Boat Shipping. "The crew at Nationwide Boat Shipping took great care of my Ski Boat when transporting it for me! They did an awesome job!" "Stoked with the job that Nationwide Boat Shipping did when moving my wake boat - they are the best & I will use them again & again!" "Can't say enough good things about Nationwide Boat Shipping. Awesome job & they are the best in the biz!"